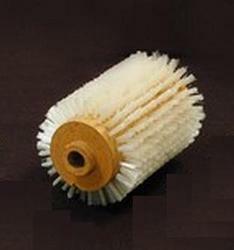 Our range of textile brushes for spinning mills is specially designed for cleaning, stripping and sweeping purposes. Manufactured from superior quality wood, high grade nylon, coir, animal hair or imported fiber, our range of textile brushes is heavily used across several industries. Known for its durability and priced competitively in the market, this range is heavily demanded across textile industry. In accordance with our prominent market presence, we are presenting the qualitative range of Textile cut roll cleaning Brush. This Textile cut roll cleaning Brush is highly acclaimed by our clients for heavy duty cleaning work, widely used in Textile machine cleaning brush. In order to ensure defect-free delivery, the offered brush is checked by a team of quality experts. This brush high in quality and is available with us at an affordable price. In accordance with our prominent market presence, we are presenting the qualitative range of Textile Sweeping Brush. This sweeping brush is highly acclaimed by our clients for textile cleaning machine work, widely used in Textile Industy. 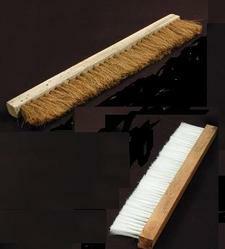 In order to ensure defect-free delivery, the offered brush is checked by a team of quality experts. This brush high in quality and is available with us at an affordable price. Features: Hard bristles ,Light-weight ,Long service life. We are counted amongst the leading names in the industry, offering an exceptional range of Copper Brush that are quality assured in nature and have high tensile strength. Our entire product range is chemically balanced in nature and ensures smooth operations. We offer them in standard sizes and dimensions and are delivered in well-defined time frame. We manufacture Comber & Carding Brushes with imported Mexican Fibre using high quality seasoned wood. We are the OEM Suppliers to leading Textile Machinery Manufacturers. 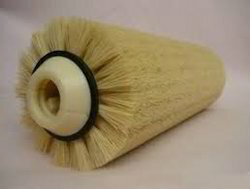 We also manufacture Carding Brushes with Nylon Bristles. We make brushes for special applications catering to industrial needs & Circular wire brushes with high quality carbon steel wire.